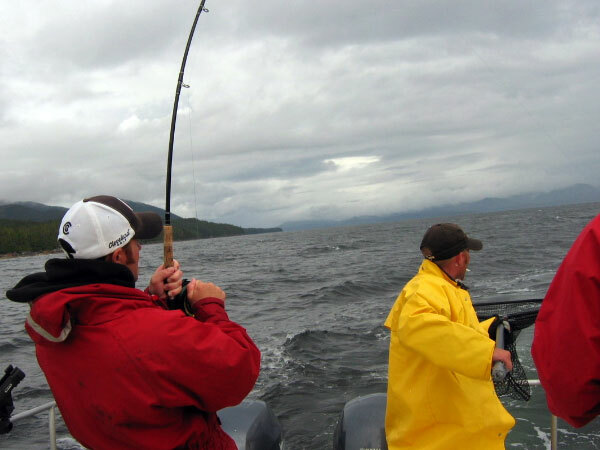 The Douglas Channel, coastal inland waters & outer off-shore islands provides guests with the best in west coast ocean adventure fishing! 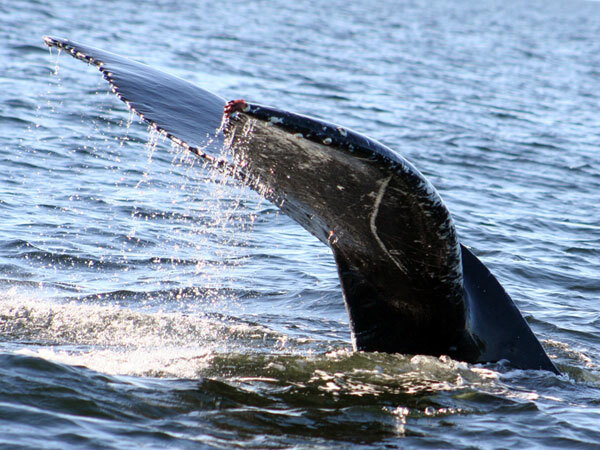 Not only is the deep-sea fishing incredible here but so is the breathtaking scenic fjords, abundance of marine wildlife that is absolutely astonishing! 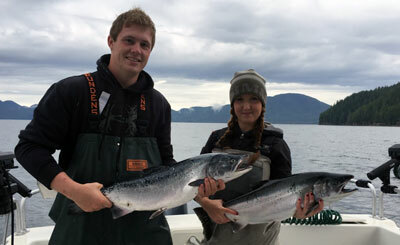 Nautical West has decades in providing our fantastic guests from around the world with premier Salmon & Halibut Sport Fishing Charters out of Kitimat, British Columbia, Canada. 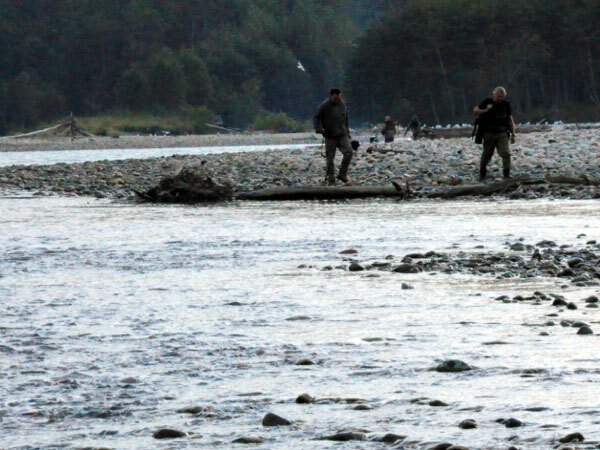 Journey to remote coastal rivers & streams to experience the diverse eco-systems along northern BC's beautiful west coast. 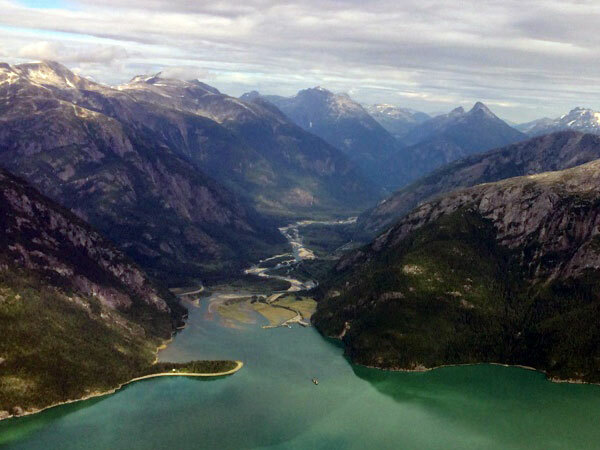 Enormous fjords, where rivers & streams join the nutrient rich pacific ocean and migrating pacific salmon feed voraciously before returning to their natal streams. 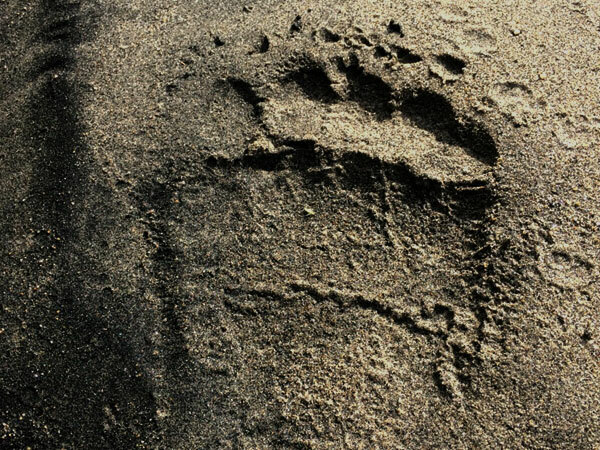 Our Ocean season kicks off here beginning of April each year. 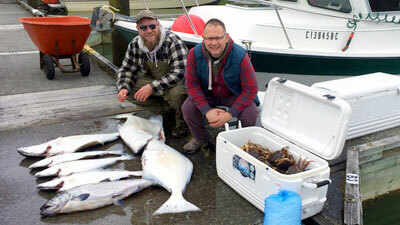 Our early spring time adventures target mostly bottom fish until the first runs of Chinooks arrive in May! Reserve your fishing adventures at this time of season to get out on the water and set the Crab & Prawn Pots while fishing for early season Halibut & Rockfish! 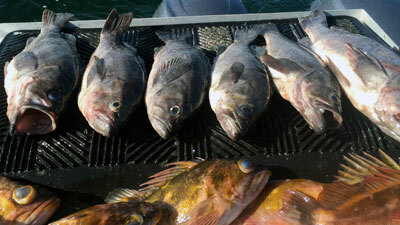 Cooler weather fishing for Halibut & Rockfish while the traps are set for Dungeness Crab & Prawns. Our fully enclosed heated cabin provides guests with warmth from cooler spring temperatures. Warmer spring weather & fresh spring run Chinooks entering coastal rivers at this time of year. Early May our focus shifts to hooking up with some fiery spring Chinooks and fantastic ground fishing for Halibut, Rockfish, Prawns & Crab! 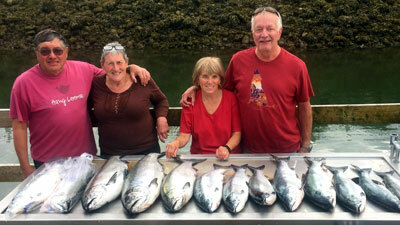 Our summer salmon fishing program hooks up in June and this is a great time for some feisty Chinook & Coho Salmon! Please reserve your prime time season dates early for our June, July & August fishing season as these fill very quickly! June really busts out the Big Ones! 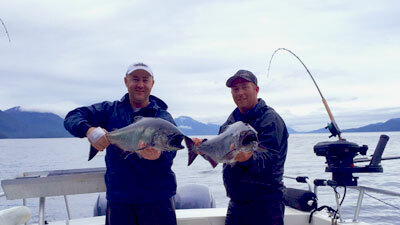 Spring run-off triggers these brutes to move inland and guests enjoy great fishing for these brutes!. 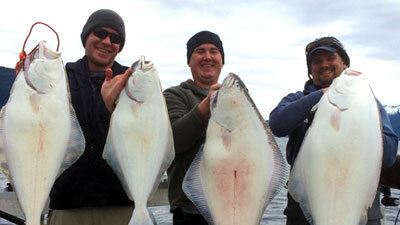 Our Salmon & Halibut season is in full swing at this time of year! 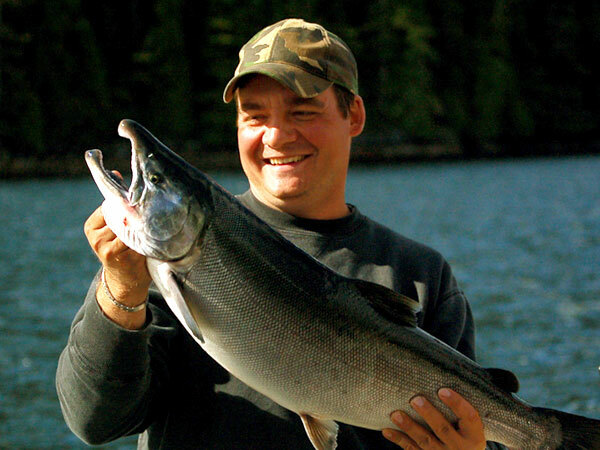 Enjoy hooking up with Chinook, Coho, Pink, Chum & Sockeye Salmon as they return to their natal streams! 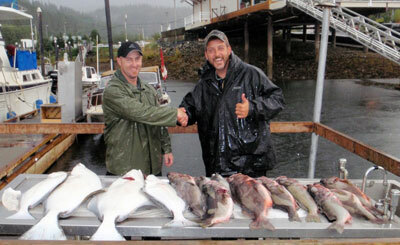 August is full of great Coho Salmon, Halibut, Rockfish, Prawns, & Crab fishing! 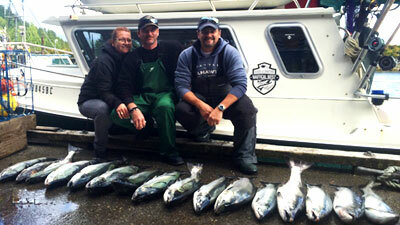 Our fall ocean fishing program is fantastic! 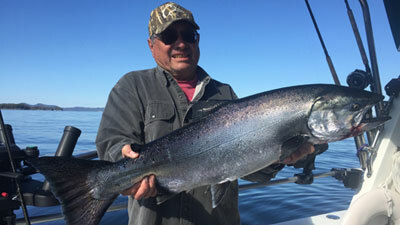 This is primetime for hooking up with great runs of with feisty Coho Salmon and bouncing for big Halibut & Rockfish! Journey to some of the best ground fishing zones and test your techniques in hooking the big ones! Big Northerns are in prime time and will be sure to give you plenty of action! September fall runs of Coho Salmon and great bottom fishing for Halibut and Rockfish always provides the wildest memories! Crab and Prawn fishing continues throughout the fall months! October Coho Salmon numbers tend to drop off at this time of year as most are now in the rivers! 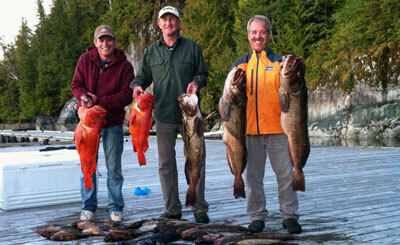 Our main focus is on the bottom fishery for Big Lingcod, halibut and a variety of Rockfish! All Sport Fishers must purchase a Tidal Waters Sport Fishing License before departure on any of our trips as this is a requirement to fish for any fin-fish or shellfish.